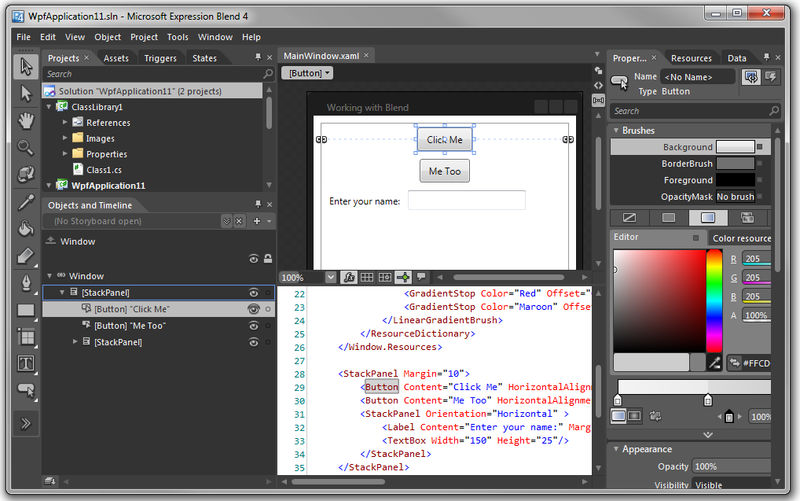 When you open a WPF project in Blend, you’ll see a lot of different widgets in the Blend user interface. The entire screen can be broken down into various regions, with each region serving a different purpose. 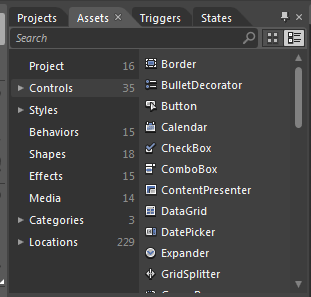 The Tools Panel, on the left, contains icons representing different “tools” that you can use to interact with your application. 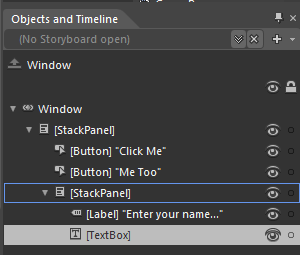 Below these tabs is the Objects and Timeline panel, which shows the structure of all objects in your user interface. 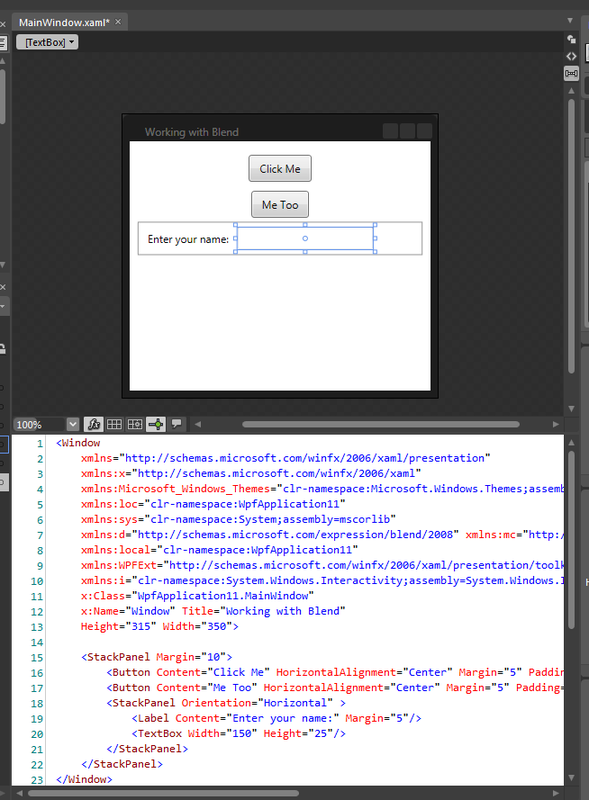 In the center of the screen is the Artboard, which shows a visual representation of your user interface and an optional pane showing the corresponding XAML. 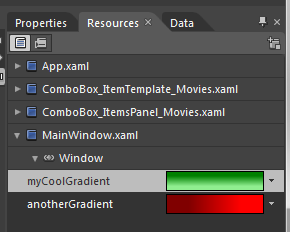 On the far right, you’ll see the Properties Panel, where you can set properties for the currently selected object. 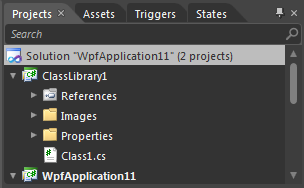 You can also click on the Resources tab to see the Resources panel, where you can browse/edit any resources that you’ve defined in your application.